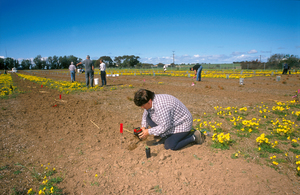 Planting quandongs at a Native Foods field trial at Moonta, South Australia. 2001. Photographer : Bob Schuster on January 01 2001.